7 year old Emma is fighting a very rare and inoperable brain tumor called DIPG. Last weekend she was having a normal weekend playing with friends, playing in the snow, and wrestling with her brothers. On Sunday though, she got a headache and started having flu like symptoms. By Wednesday, she was rushed into surgery to reduce swelling on the brain. She has had a second surgery now and is preparing for 6 weeks of daily radiation therapy. She is a fighter and she and her family along with everyone on Team Emma are here to fight for her. They need the financial support to fight and to make sure Emma has the support she needs. This will help towards such things like medical bills, living expenses, possible clinical trial logistics. We need to raise an initial $50,000. This family needs to focus on Emma and winning her fight so that she can celebrate her 8th birthday and have more birthdays to come. 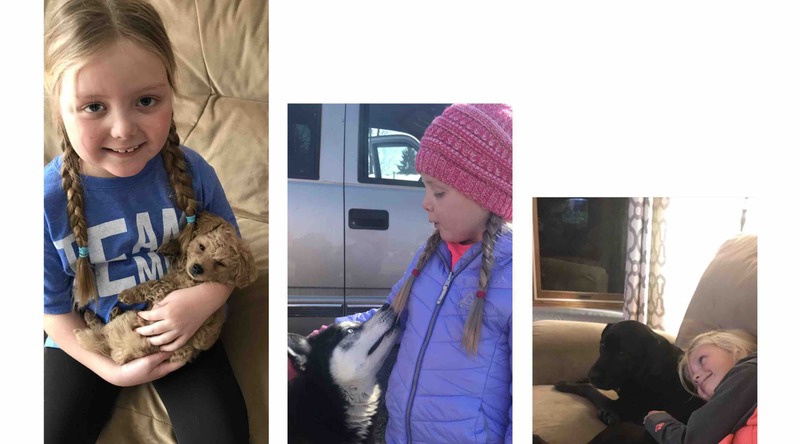 By donating, you can help lift the financial burden on this family so that they can just focus on being present with Emma and her two brothers. We are about to head back to CHW for day 6 but wanted to send a quick Thank You to all of you. The love for Emma is powerful! We feel it. The support, notes, mail, texts, emails, comments on here, meals, help at the house, visits...it’s so overwhelmingly amazing. We want to thank you all! Family, Extended Family, Friends, Neighbors, Team Hoxie, Work Family, the YMCA, Hartland-Lakeside Schools, Mukwonago Schools, Brooklife Church Friends, Arrowhead Friends, Mukwonago Friends, River Valley Friends, Sports Friends, Girls Scout Friends, our Doctors and Nurses, Facebook Friends, Caring Bridge Friends, Go Fund Me Friends, Friends of Friends and even complete strangers. Wow, we feel your love. We are are not going to stop seeking a cure for Emma. Please keep praying for a miracle.